PARK CITY, UT--(Marketwired - January 31, 2017) - Air Force veteran Heath Hinton of Clearfield, Utah spent 16 years with the United States Air Force. In May, 2016, he was medically discharged from his duties following injuries he sustained during his service that made it nearly impossible for him to run. This April 28-30, he's returning to national non-profit World T.E.A.M. Sports' Face of America bicycle ride to Gettysburg, Pennsylvania, an event he says changed his life. 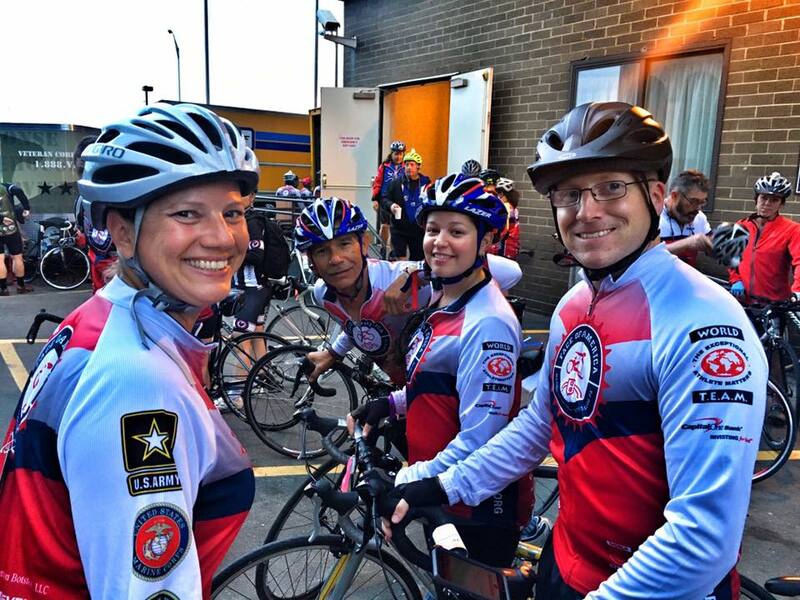 Participating as a member of Team Rescue 22, Hinton reports his two-day, 110-mile ride to historic Gettysburg from the Pentagon in April 2016 gave him direction at a time when he needed it most. "Those guys opened my eyes to what I am able to do if I put my mind toward anything," Hinton said of his fellow veterans. "I wouldn't be a father, husband or son if it wasn't for a new purpose being shown to me," said the 35-year-old. "I ride because I can and will continue to until I can't." Army veteran Norberto Roman, founder of the non-profit Rescue 22, welcomes Hinton back to their team for the April ride. 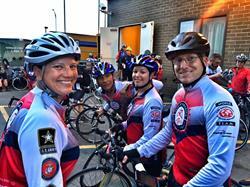 Their organization brings together veterans of all ages to support each other as brothers and sisters. "Helping Rescue Those Who First Rescued Us" is the non-profit's mission, which recognizes that 20 or more veterans take their own lives every day. "The camaraderie with the team was tremendous," explained Hinton of his participation with Rescue 22 in Face of America. "I had never met any of the riders before and was a bit nervous, but we bonded quickly." Riding to Gettysburg with both adaptive and able-bodied athletes helped Hinton determine a direction for his life following his medical discharge from the Air Force. In December 2016, he accepted a position with Park City's National Ability Center, serving as a program administrator. The National Ability Center works with adaptive athletes of all ages and abilities, providing events as varied as skiing, cycling, kayaking and indoor rock climbing. "We are focused on those with disabilities to include veterans. There is no 'I can't' here," said Hinton of his new position. "Our mission is to show every participant that they can live a very active life with their differing disabilities." For military veterans and other individuals with disabilities that may be discouraged from becoming active in challenging sports, Hinton is encouraging. "I recommend that those with disabilities research the event, but not to limit themselves to what they think they can't do." For Hinton, who once trained military working dogs with the Air Force, he's planning on his own training. "I continue to challenge myself in physical activities and will strive to encourage anyone who has a disability to come out and visit the National Ability Center to challenge themselves." World T.E.A.M. Sports is a 501(c)(3) not-for-profit organization chartered in North Carolina and headquartered in Holbrook, New York. Since 1993, World T.E.A.M. Sports has organized athletic events for disabled and able bodied citizens -- mountain climbing, white water rafting, biking, and more. Four things always happen at our events: (1) Disabled participants build self-confidence and physical fitness; (2) The disabled provide a role model for other disabled citizens, encouraging them to take up physical activities; (3) The disabled become a moving inspiration to other participants and to spectators when they see that disabled individuals can meet challenges beyond anyone's imagination; and (4) The disabled and able-bodied participants learn to work as a team to overcome those challenges. World T.E.A.M. Sports changes lives through sports. The full Team Rescue 22 at the April, 2016 Face of America ride to Gettysburg, Pennsylvania. Veteran Heath Hinton was a member of the team. Photograph courtesy Norberto Roman, Rescue 22. Heath Hinton, right, at the April 2016 Face of America bicycle ride to Gettysburg from non-profit World T.E.A.M. Sports. Photograph courtesy Norberto Roman, Rescue 22.